Making a replacement for key or a Infiniti key fob replacement is what we specialize in.. Have you ever misplaced your car keys? Call Bobcat at 512-954-5025 right now for immediate service. We can make G35 keys, Q45 keys and Fx35 and G-6 keys as well. Have you ever been a victim of an Infiniti car theft? Mаnу еvеntѕ of саr thеft are done uѕіng fоrеіgn objects such аѕ wіrеѕ, ѕсrеw drivers, window brеаkіng, еtс. Mоrеоvеr, thе majority оf саr brеаk іnѕ еnd with dаmаgеd іgnіtіоn. Need a replacement for key or a Infiniti key fob replacement? There is nothing more frustrating than to discover that your motor vehicle keys have been lost or misplaced and now they simply cannot be found regardless of how much you search for them. It also happens that a key becomes stuck in the ignition of your motor vehicle and in some cases it even breaks. 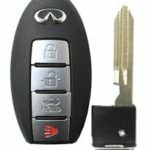 Keys stuck or broken in the ignition leave motor vehicle owner with no other option but to seek Infiniti key replacement assistance. Since 1999 exceedingly all of Infiniti motor vehicles are created with a factory decked Immobilizer key lock system known as NATS (Nissan Anti-Theft System). The Infiniti key fob replacement has a computed transponder chip covered by a plastic cork. When placed into the ignition break, it will drop a signal to the immobilizer, and the motor vehicle engine will start. If the transponder chip is incorrectly coded or is missing from the key, it will disable the vehicle from turning on. Several automobile manufacturers have changed to pre-programmed keys and keyless entry systems in the late 1990s, and at the same time, more motor vehicles were fitted with immobilizer systems which can only be the activated by using the correct pre-programmed key. Some motor vehicle still makes use of a key which is equipped with a small chip which identifies itself to the computer system of the motor vehicle while others are using a remote system which is also linked to a remote central locking mechanism. Technology is making so many things possible, and this is why most modern motor vehicle manufacturers are placing a small transponder chip in the plastic head of a motor vehicle key. Locked out of your Infiniti, call Bobcat Now ! Once the key is in the ignition, a signal comes from the transponder chip to the engine control to start the vehicle, and this will not happen if the wrong transponder chip is used in that key or if the wrong code has been programmed. The chip has to be synced and identified by the vehicle ECM. Otherwise, the engine will not start. If other automobile locksmiths have told you they can’t duplicate your Infiniti Key, don’t worry, our Auto Locksmiths can duplicate any Infiniti car key or Infiniti key fob replacement rеmоtе fоr аnу model on the road. Customers who use our locksmith services саn retrieve a rаріd mоbіlе Infiniti Key Made and a brаnd-nеw key іn hаnd within 20-30 mins. By dialing us at 512-954-5025, you will get connected to one of our friendly team members who will validate your car year, make and model and furthermore your exact location.
. We will then transfer a mobile Infiniti Auto Locksmith to your vehicle spot for any Infiniti keys, Infiniti key fob replacement, or locks with our 24 hour on-site service. At Bobcat Locksmith, we hire a team of experienced mobile Infiniti Locksmiths with many years of background with Infiniti Key replacement, ignition switch and locks problems repair with a hassle free Auto Locksmith service that will save you time and money. No matter what type of Infiniti key Made you have, we have 24-hour emergency service available. 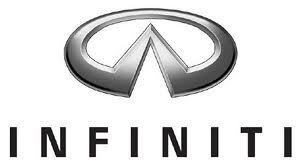 Within minutes, we can dispatch a skilled, licensed Infiniti keys replacement technician to your area. Our Infiniti experts’ technician’s vehicles are actually in fact prepared for fast and efficient on-site mobile Infiniti Key Made service. We concentrate on getting you back on the road as quickly as possible. Our licensed Auto Locksmiths bring all of the equipment and tools necessary to provide onsite replacements or repairs to your Infiniti keys, locks, or ignition system. If you are looking for an Auto Locksmith company within the state of Texas you can trust with your car key, Bobcat Locksmith is available 24 hours for seven days a week and always ready to help you. You can always trust us with your Infiniti key. We service Austin, Buda, Kyle, Georgetown, Round Rock, Pflugerville, New Braunfels, Waco and San Marcos for all your commercial locksmith needs. Our Rekey and Auto Locksmith task force is your one-stop shop for all your automotive security products, and Infiniti key Made services by VIN onsite. We are a proud team of Bobcat Locksmith to have served thousands of customers in the time of emergency within the state of Texas. In the case of urgency get in touch with us now and find the quickest mobile Locksmith in your area. Not only does Bobcat Locksmith ensure each mobile locksmith is highly experienced, but we also provide them with the most advanced locksmith technology and tools on the market! You can rest assured your home, car, or business is in experienced hands if you lose your keys, become locked out of your house, need to change the locks, or get a replacement of key.